Cova Security Gates used the International Security Expo to launch a brand new Hostile Vehicle Mitigation (HVM) product. Cova have worked with world leading HVM Security Specialists to design and deliver the company’s first Engineered Solution Crash Rated ‘Surface Fixed’ 30mph (48km/h) Bi-Folding Gate – CSG 10630. The product has been engineered to prevent a Class N1 vehicle weighing 3500kg (7700lb) from impact at 30mph (48km/h). This is the third crash rated bi-folding gate in Cova’s hostile vehicle mitigation portfolio, of which it can now offer protection from vehicle impact at 30mph, 40mph and 50mph. 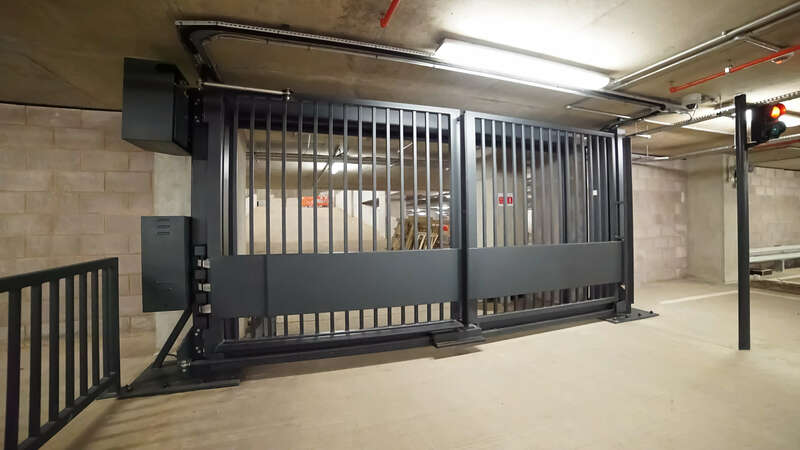 This ‘surface fixed’ crash rated bi-folding gate has been specifically designed to overcome situations where it is impossible or impractical to excavate an existing slab such as in underground or multi-storey car parks, or sites where the slab depth is limited. The Design A standard profile base plate is ‘surface fixed’ to the road or car park floor using a minimal number of concrete anchors. The thickness of the base slab material for the gates to be fixed in place is minimum 250mm, so eliminating the need for foundation excavation.